Jerusalem, January 28, 2015 — The discovery of a 55,000-year-old partial skull in Northern Israel provides new insights into the migration of modern humans out of Africa. The rare find is reported in the journal Nature this week by an international team of Israeli, North American and European researchers. A key event in human evolution was the expansion of modern humans of African origin across Eurasia, replacing all other forms of hominin (humans and their predecessors), around 40,000-60,000 years ago. However, due to the scarcity of human fossils from this period, these ancestors of all present-day non-African modern populations have largely remained a mystery. Now, researchers describe a partial skull that dates to around 55,000, which was found at Manot Cave in Israel’s Western Galilee. 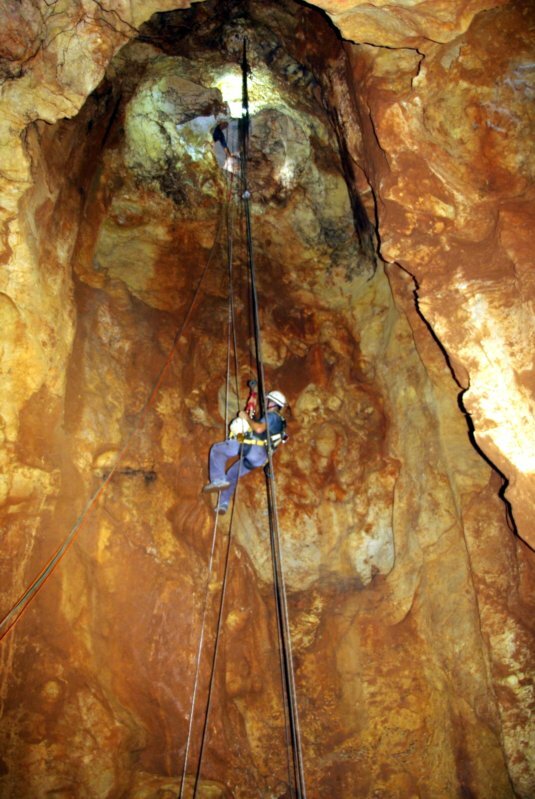 The Manot Cave was discovered in 2008 during construction activities that damaged its roof. Rock falls and active stalagmites had apparently blocked the initial entrance to the cave for at least 15,000 years. 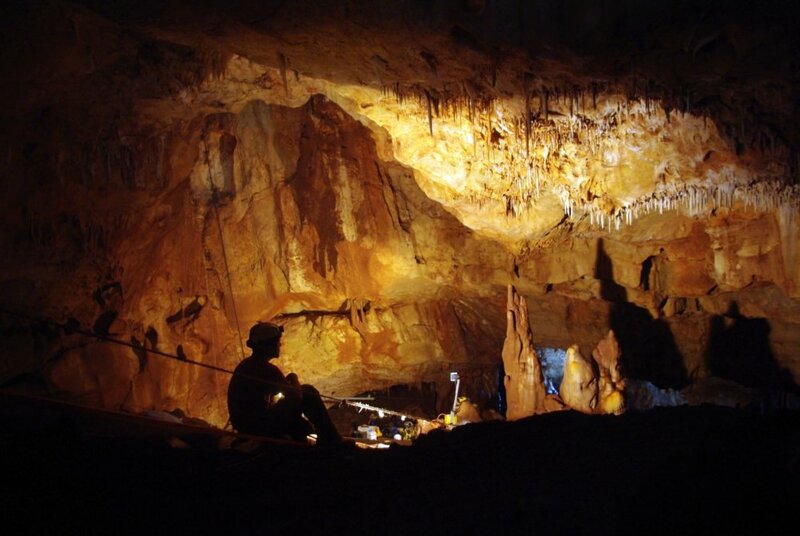 The Hebrew University of Jerusalem’s Cave Research Center conducted an initial survey of the cave and reported the findings of archaeological remains. Researchers from the Hebrew University played important roles in this discovery. Dating the skull at around 55,000 years is the graduate thesis work of Gal Yasur, a student at the Hebrew University’s Earth Sciences Institute in the Faculty of Sciences. The dating work was done at the Geological Survey of Israel under the supervision of GSI Senior Scientists Dr. Miryam Bar-Matthews and Dr. Avner Ayalon, together with Prof. Alan Matthews, the Raymond F. Kravis Professor of Geology at the Hebrew University’s Earth Sciences Institute. 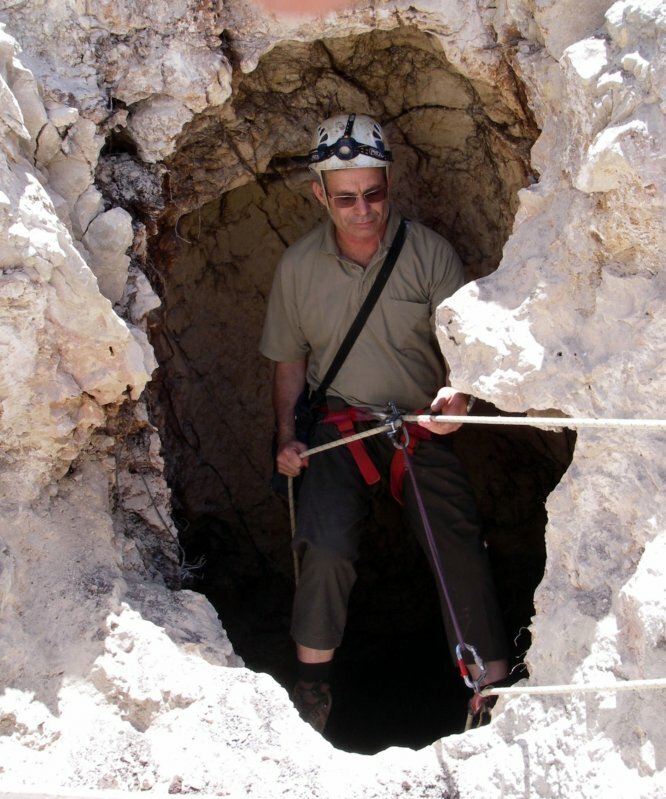 Prof. Amos Frumkin, Director of the Cave Research Center at the Hebrew University’s Geography Department, researched the geological context of archaeological team working in the cave. The research appears in the journal Nature under the title “Levantine cranium from Manot Cave (Israel) foreshadows the first European modern humans” (DOI 10.1038/nature14134). The excavation at Manot Cave was initiated and supported throughout the years by the late Mr. Dan David, founder of the “Dan David Prize”, and his son Mr. Ariel David. The ongoing research is financially supported by the Dan David Foundation, the Israel Antiquities Authority (IAA), Case Western Reserve University (CWRU), the Leakey Foundation, the Irene Levi Sala CARE Archaeological Foundation, the Keren Kayemet L’Israel (JNF) and the Israel Science Foundation (ISF). Radiocarbon dating research has been supported by the National Science Foundation (NSF), the Exilarch’s Foundation and the MPS-WI Center for Integrative Archaeology and Anthropology.